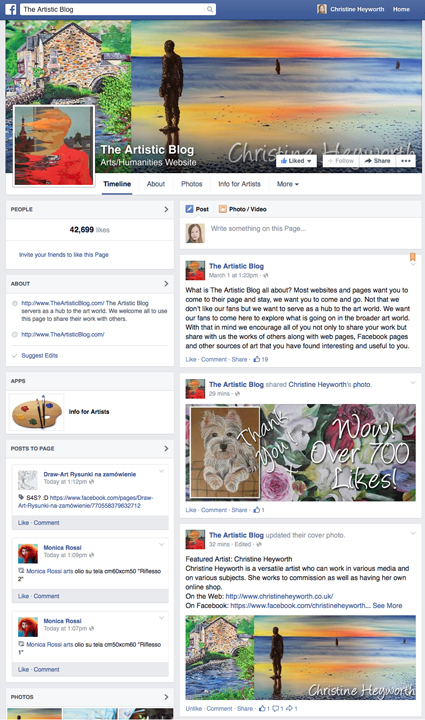 As word gets around about the world of christineheyworth.co.uk, I am beginning to appear on other blogs and Facebook pages. 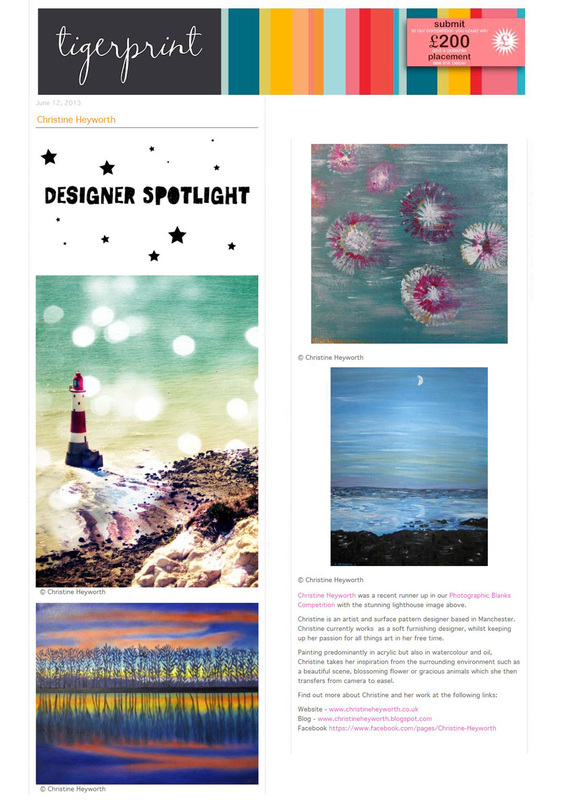 This is where I am going to share these features with you all! 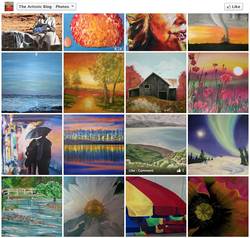 Between August 15th and 1st September 2013, The Artistic Blog featured 5 of my paintings on their Roku TV Channel! Between October 15th and 1st November 2013, The Artistic Blog featured my Parrot Fashion Painting on their Roku TV Channel! On Saturday 17th May 2014 i had a stall at the Cloud 9 Gallery Pre-Launch Art Market, in Hebden Bridge and this video was taken by Urbangypsycrochet It's a good little promo for my work! 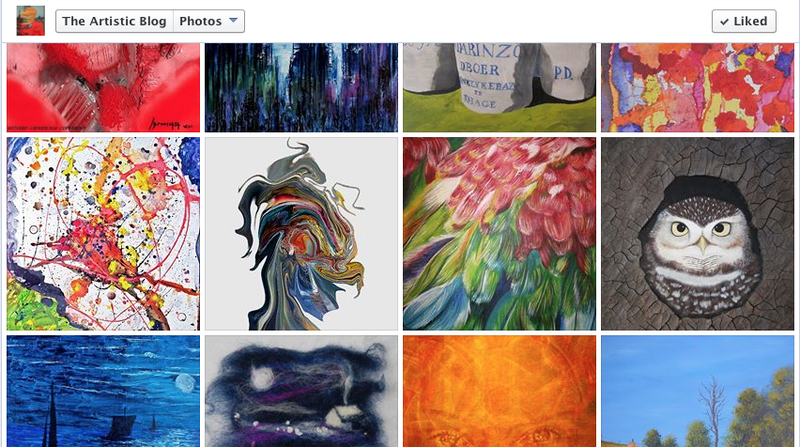 Saturday 7th June 2014 was the opening of the Cloud 9 Gallery, in Bacup. 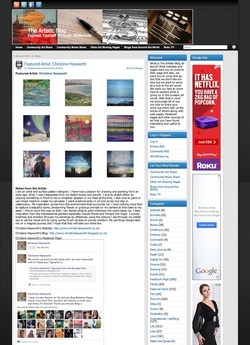 This video was taken by Urbangypsycrochet and features the canvases i have for sale in the gallery! 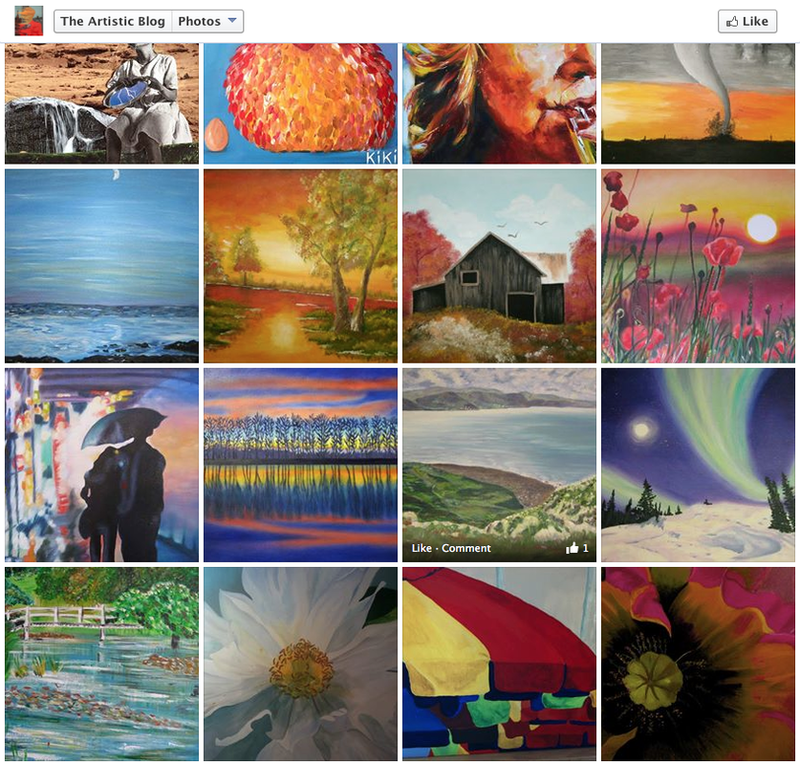 For the week of March 7th to 14th 2015, I am The Artistic Blog's featured artist! 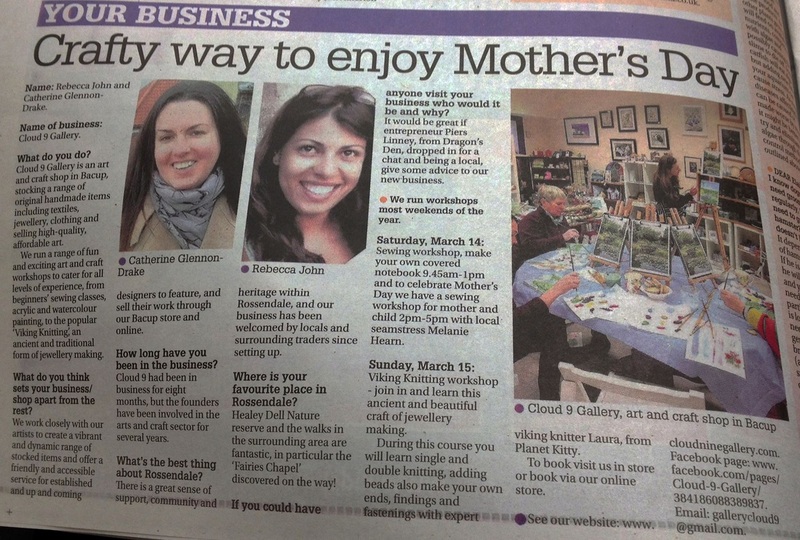 Cloud 9 Gallery were in the Rossendale Free Press Newspaper on 12th March 2015. The article includes a photo of me running one of my Introduction to Acrylic Painting Workshops. 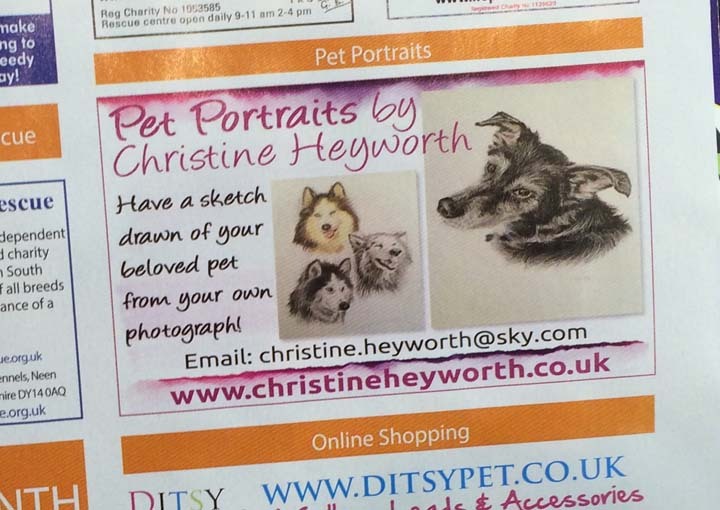 My pet portrait ad is in the July 2015 issue of Dogs Monthly Magazine! 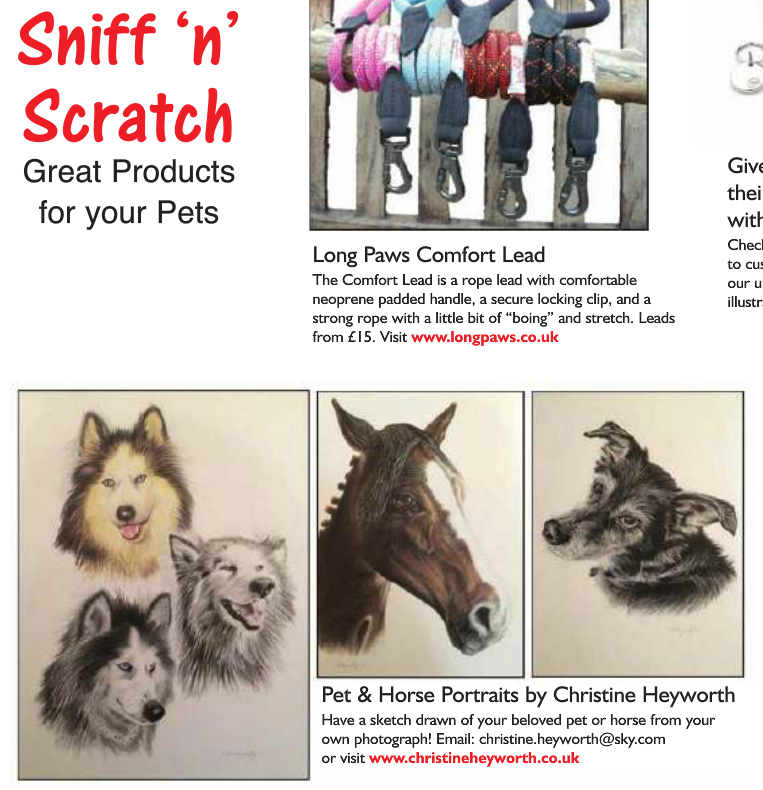 An ad for my pet & horse portraits is in the June/July 2015 issue of Rescue A Pet & Animal Care Magazine! 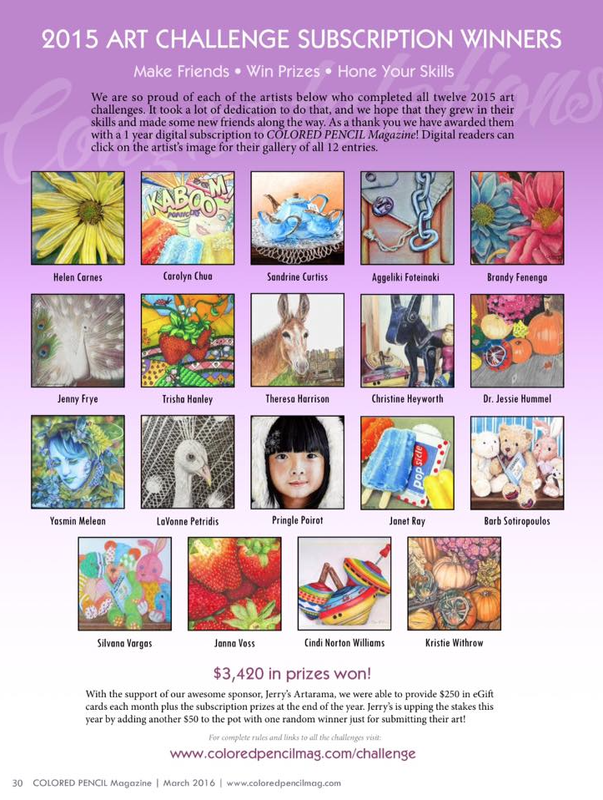 I was featured with other talented artists in the Colored Pencil Magazines March edition for completing all 12 pencil drawings in 2015!